There is a perception that the spring is the very best time to list your home for sale. 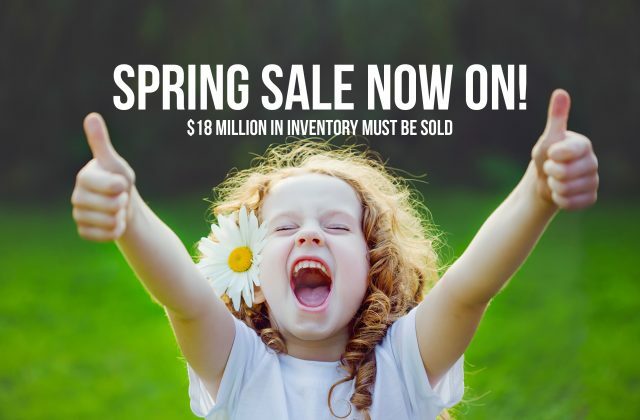 While it’s true that spring is peak season and more houses sell at this time, that’s largely because most people list their homes for sale in the spring. Listing your house in the spring means that your competition goes way up, as other people are also listing their homes. More competition means you may not sell your home for as much or as fast as you might otherwise. You are also in competition to get the time and attention of Real Estate Agents. Houses listed in the winter often sell faster than homes listed in the spring because demand is higher – there are simply fewer homes on the market to compete with. 2. Higher Price Property Listing. With less competition, the buyer will have less leverage to haggle down the price. Winter tends to bring out more serious buyers and less window shoppers. Many people are interested in just looking at homes and window shopping during the springtime, since more homes tend to go on the market. Because of this, you will typically have more serious inquiries in the winter, since colder weather drastically reduces “tire-kickers”. A lot of people start new jobs or get transferred at the start of a new year and may have to move. If you sell your home in the winter, it gives you the opportunity to show that your home can handle the harsh winter elements. If your home has a fireplace or hot tub, this is more appealing to buyers in the market during the winter time. This would be the perfect time to show how energy efficient your house is! You won’t need to worry about yard work to add curb appeal. During the winter time, chances are your yard will be covered in snow. Although, taking pictures of what your yard would look like during the summer time would be a good idea in case your buyers want to see what your landscaping looks like during the summer. Thinking of moving? Give us a call at 780.572.0800 for what life in the Meadows is like!